Øvrige oplysninger Our Heavy Duty Rakes are designed to clear away surface material and shallow roots, brush and branches while leaving behind the soil*. Our rakes can work with or without a thumb. På Mascus kan du finde [Other] TRK HEAVY DUTY ROOT RAKES andre komponenter. 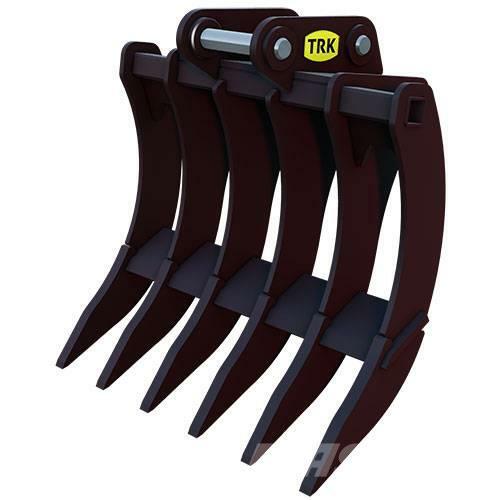 Prisen på denne [Other] TRK HEAVY DUTY ROOT RAKES er - og den er produceret i 2019. Denne maskine er placeret i - Canada. På Mascus.dk kan du finde [Other] TRK HEAVY DUTY ROOT RAKES og andre andre komponenter modeller.